Some officers attached to the Federal Special Anti-Robbery Squad (FSARS) of the Nigerian Police yesterday took their audacity for robbing innocent Nigerians to an unimaginable level. 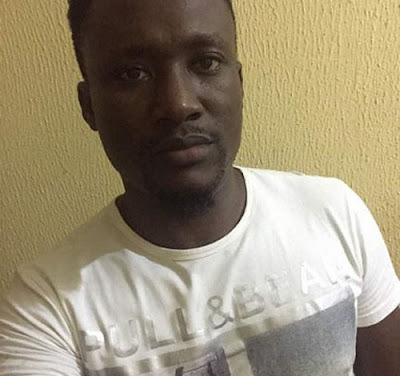 Led by Inspector Jude Akhoyemta from FSARS Ikeja, the officers seized the handset of Immanuel James Ibe-Anyanwu, the MD of Planex Finishing Nigeria Limited, for reporting them to the Lagos State Command Police Public Relations Officer (PPRO), SP Chike Oti. The senior officer, Oti, had requested to speak with them before the FSARS seized Ibe-Anyanwu’s handset. The Nation reports that the officers stopped Ibe-Anyanwu at about 3pm for search in Ago Palace, opposite Zenith Bank, Okota, Lagos. Having found nothing incriminating, the officers allegedly humiliated Ibe-Anyanwu and accused him being a fraudster. The officers told him to lead them to his Ikoyi office to confirm. It was at that time that people intervened and Ibe-Anyanwu called the police spokesman. Police spokesman said a team of policemen from the Command X-Squad Section, led by Musa Shuaibu, an Assistant Superintendent (ASP) was dispatched to intervene in the matter. Oti said: “However, on sighting the X-Squad personnel, the erring officers hurriedly left the scene in a manner suggestive that they were on illegal duty. “The Commissioner of Police directed the officer in charge of the X-Squad Section to fish out the policemen within two hours and that directive has been actualised with the identification of the policemen involved. They were led in that inglorious duty by one Inspector Jude Akhoyemta attached to FSARS Ikeja.